This filter is ultra small, ultra light, and ultra effective. 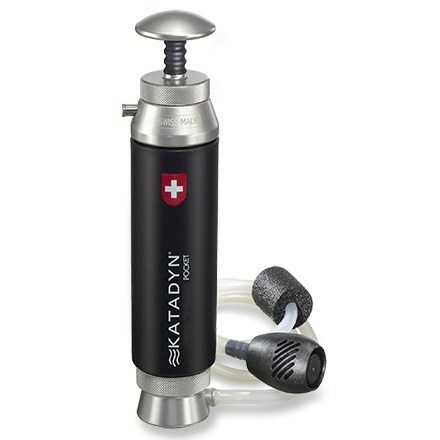 It can be used with just about any bottle, rolls up with the included bag to fit in your hand, and no moving parts to break! 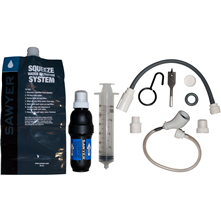 I've used the Sawyer filter on multiple section hikes on the A.T. and never a problem! 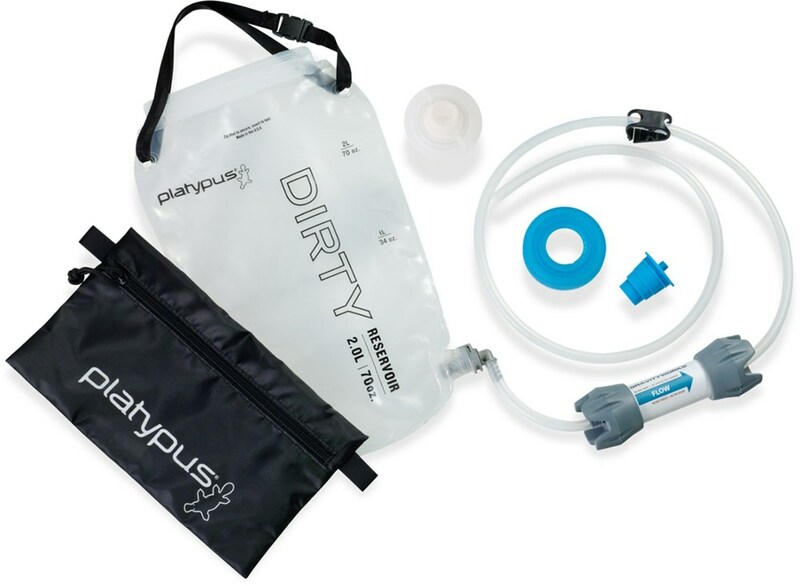 The kit even comes with adapters and tubing for using as an emergency large volume group filter from a bucket. 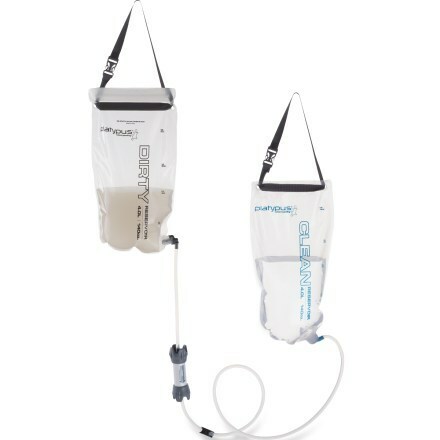 Buy several bags, fill them, and keep your reserve water supply if necessary! 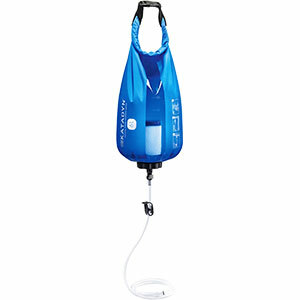 Always clean, micro-organism free, and quick-ready water! 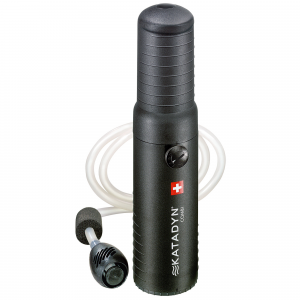 The Sawyer All in One Filter is not available from the stores we monitor. It was last seen January 21, 2019	at SunnySports.